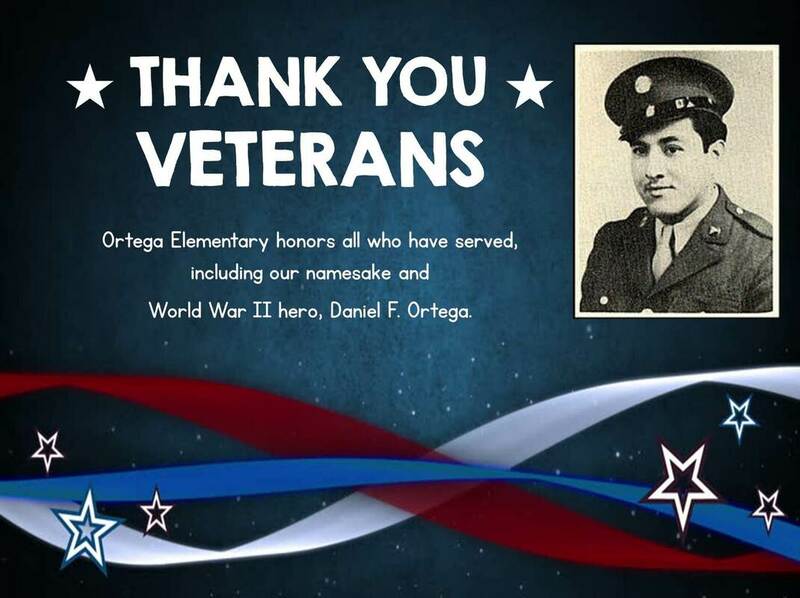 Ortega Elementary is named after Austin’s World War II hero Daniel F. Ortega. Pfc. Daniel Ortega was born June 3, 1915 in Mexico. He received his B.A. degree from Texas University and entered the Army Medical Corps in May of 1943. He received his training at Camp Robinson in Arkansas. In May 1944, he began his tour of duty in Europe. He was tragically killed while carrying a wounded soldier from the battlefield in France in July 1944. He was awarded the Bronze Star and the Purple Heart for his distinguished service and honorable conduct. With Daniel Ortega as a model, we hope our students and school community will continue to emulate becoming the best person you can become.